Having trouble or don’t know where to start? 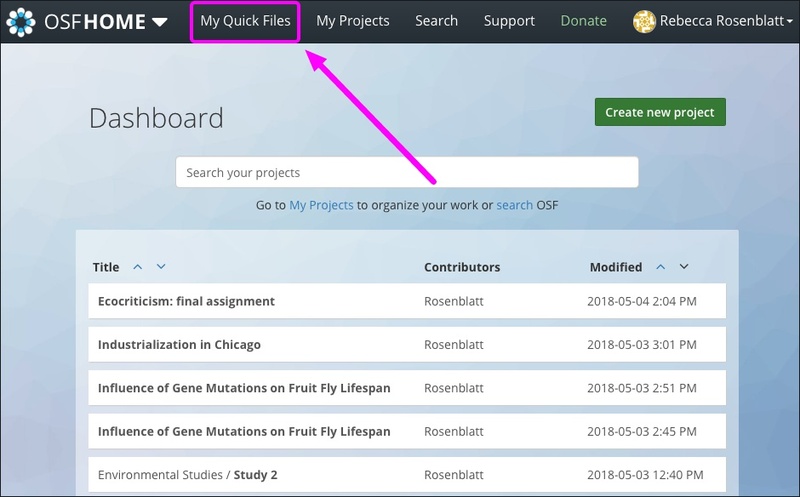 These articles will walk you through how to navigate and use the OSF. 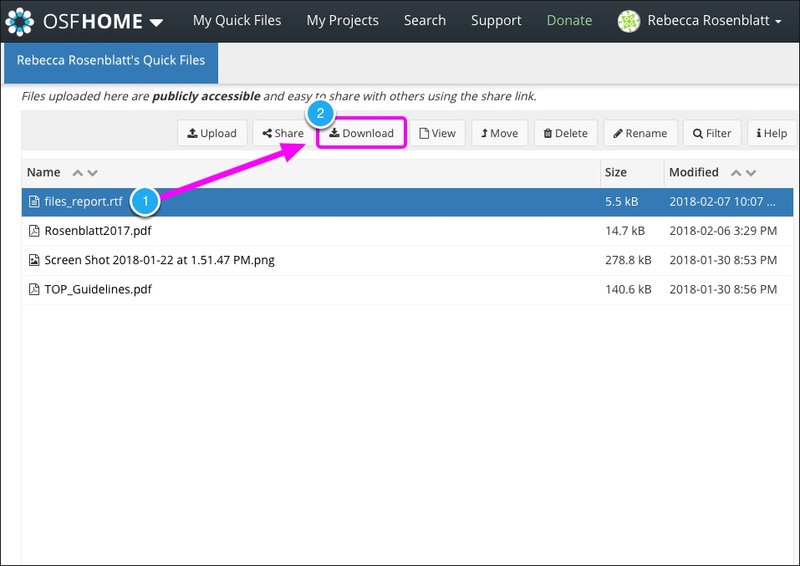 You can download individual or multiple Quick Files to save and view them on your computer. First, click My Quick Files in the navigation bar to go to your Quick Files. The "Quick Files" page will appear. Click next to the file that you want to download, then click the Download button in the toolbar. The file will be downloaded to your browser. Open the file onto your computer to view the file. 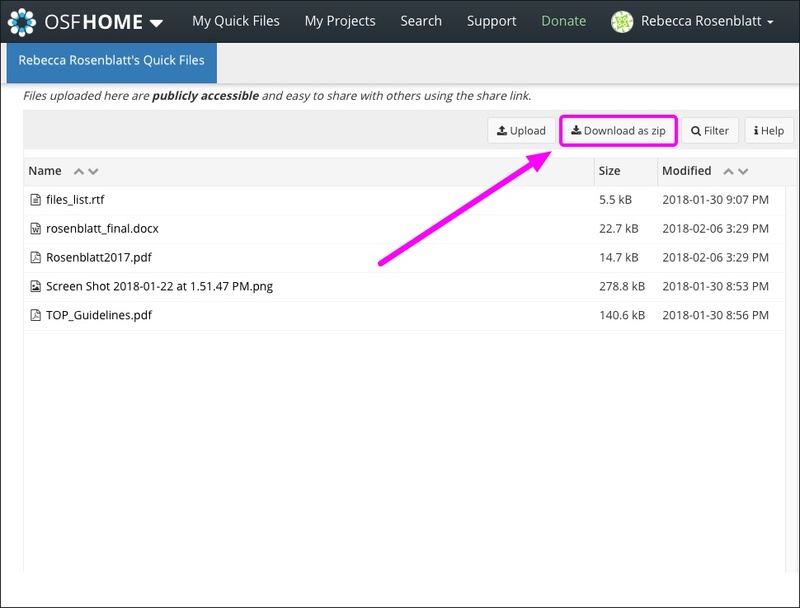 Open the "Quick Files" page, then click the Download as zip button in the toolbar. A zip file of the Quick Files will be downloaded to your browser. Open the file onto your computer to unzip and view the files.